A manufacturer and retailer of cedar hot tubs. Our round and oval cedar hot tubs are sold as kits and assembled onsite; making them ideal for installation in a basement, sun room, condo terrace, roof, small urban back yard or a cottage with limited access. Our cedar hot tubs feature a vinyl liner for additional peace of mind, comfort, easy maintenance and durability. Canadian Hot Tubs Inc also custom manufactures replacement roll-up hot tub covers for most brands of acrylic spas, swim spas and in-ground hot tubs. Unlike conventional foam covers - which absorb water and become heavy and cumbersome - our roll-up covers are always easy to use. At Home Saunas since 1974, we have over 40 years’ experience as a factory manufacturer of sauna kits. We are true experts in the sauna business. With our best-selling book ‘The Art of Sauna Building’, and our detailed instructions, we have the knowledge and experience to help anyone through their sauna project. Our sauna kits are all custom-built exclusively with Western Red Cedar. Our sauna heaters are Canadian made, and are backed by the best warranty in the industry. Located in Waterloo, Ontario, Canada, we can serve customers across North America! Hello, my name is Ramona Oltean I am the Medical Aesthetician and the owner of LEMONI BEAUTY CLINIC. I graduated as a Medical Aesthetician and Laser Technician from Looks Aesthetics Academy in Mississauga in 2012. I have been practicing medical aesthetics since then, performing treatments such as laser hair removal, skin rejuvenation (IPL), glycolic peels, microdermabrasion and various other spa treatments at MediSpas in London ONT and in Toronto ONT. I first became passionate about Medical Aesthetics when I started getting laser hair removal treatments myself. I was so happy with my results and the impact it had on my confidence that i wanted to share this with other people. I went back to school and received my Diploma in Medical Aesthetics and then started working at the same place I received my first laser hair removal treatments. I was so happy ho help other people achieve similar results as i did and help them increase there confidence.”Microdermabrasion, Glycolic Peels, IPl, laser hair removal can make a huge difference in the appearance of your skin, which in turn makes you feel more confident in your appearance. After working in various Spas and gaining experience in the industry I decided to open my own place in 2016 which is now Lemoni Beauty Clinic. I am so happy to have made this big step as i can now use the experience i gained over the years and apply it to my own business in customizing treatments according to each individual. Lemoni Beauty Clinic is a cozy and private Spa. I work by appointment only and i make it a priority to book enough time with each client to give them the care that is needed. Want to experience the best of the best in hot tub technology, therapy and relaxation? Learn about Marquis hot tubs. Owning a Marquis is easy. Have one of our authorized dealers contact you and show you how painless it is to ease into the best hot tubs on the market today. In addition to providing more common accessories, Marquis manufactures our own line of hot tub accessories called Environments. 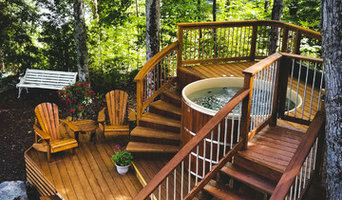 Super-scape your hot tub with benches, storage areas, shelving and seating areas. These units are manufactured to match your hot tub (or swim spa) exactly with the same high quality materials used to build the hot tub. Call us today! Home Saunas Since 1974 operates a sauna factory with genuine factory prices that are the envy of the competition. We make over 174 sauna sizes and shapes. We easily make custom changes to create the perfect sauna kit. We ship our sauna kits to every part of the USA and Canada. Waterscape Hot Tubs & Pools is the largest hot tub and swim spa retailer in the Waterloo Region. We proudly serve Kitchener, Waterloo, Cambridge and surrounding areas. We offer Hydropool Hot Tubs, Hydropool Swim Spas, Covana and Enclover Patio Furniture. We provide free professional water care advice and carry the best water care products from Dazzle, Mineraluxe, SpaGuard and BioGuard. It’s important that you do some research before visiting a local Brantford spa and hot tub dealer. While they can give you lots of information about features and financing, you should have an idea of where you would like to position your spa and what its main function will be. Do you plan to use it mostly for relaxation or socialization? How many people will be using it? All of these things will help the hot tub dealer pick the best models for you. Decide who will be responsible for daily maintenance in your household and if the extra energy costs are something you’re actually willing to incur. Also, know that most hot tub stores in Brantford, ON let you do test soaks, also known as a “wet test”, where you can throw on your suit and take each model for a spin in the showroom so you know exactly how they feel before purchasing. Don’t be shy — just think of it as test driving a car! 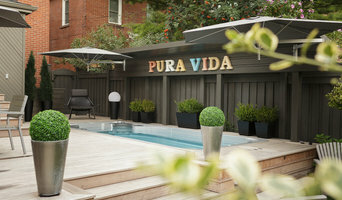 Find spa and hot tub dealers in Brantford, ON on Houzz. Narrow your search in the Professionals section of the website to hot tub and spa dealers in Brantford, ON. You may also look through photos to find hot tub designs you like, and ask about the details of the spa, including the manufacturer and where it was was purchased.